Make your home more enjoyable and inviting with the distinctive look of hardwood flooring. We make it easy to upgrade any room in your home with our wide selection of hardwood styles in a multitude of colors, finishes, and grains. The best hardwood floors are always found at our showroom. With a vast selection, friendly knowledge base, and comprehensive installation services, you have the resources to turn your home into a practical work of art. Whether you prefer the versatility of engineered hardwood flooring or the enduring strength and charm of solid hardwood flooring, our friendly staff will guide you to the ideal option for your new floor, and then install it to perfection. Knowledge of how to install hardwood floors is not required--we have a dedicated team of professionals ready to realize your remodeling plans. Simply choose your favorite flooring material and we’ll handle the rest. Whether your style is rustic or traditional, contemporary or modern, solid hardwood flooring creates a timeless atmosphere in any home. Solid wood floors are an ideal option for any type of home, from a downtown high-rise to a suburban Victorian, craftsman, or bungalow. Suitable for any decor, our collections of solid hardwood floors are available in various widths and colors, allowing you to bring the beauty of any surface treatment—including scraped, chattered, and wire-brushed finishes—into your home. Considered the original wood floor, our solid wood floors consist of planks cut from a single block of wood for superior strength, durability, and better acoustics, with no hollow sounds or vibrations. It can be manipulated, sanded, and refinished hundreds of times over its lifetime without needing replacement. This long-lasting resilience and versatility make solid wood flooring a great investment that offers an optimal increase in your home's value. In addition to its stunning appearance, hardwood offers great spill and stain resistance and requires little routine maintenance. Wood also offers an unparalleled, inherent warmth and comfort. Furthermore, hardwood never goes out of style. 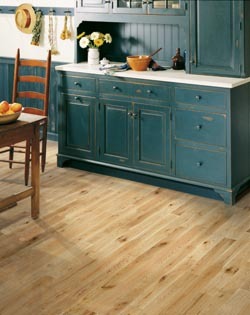 It can be refinished at a much lower cost than that of replacing a dated floor. When it comes to real, hardwood floor, you can count on our showroom for prime examples of aesthetic value and craftsmanship. Our vast selection and fair rates can be attributed to our extensive buying power. We buy products from trusted companies and manufacturers. Revered for professional craftsmanship, stunning artistry, and variety, our products are sure to bring your remodeling ideas into a reality. Of course, our knowledgeable sales representatives are here to address your questions or concerns. We stay up-to-date with the latest developments and trends in the industry, so you know you will make a smart investment when you shop with us. Simply tell us your design preferences, and we will find the products that best align with your design preferences. We make remodeling a simple, streamlined, and exciting experience. Quality floors require the care and attention of trained technicians so that they may last a long time. When it’s time to start your hardwood floor installation, let us finish the project for you. Our showroom works with well-trained, qualified flooring contractors to measure, replace, and install different types of flooring. Our team upholds a high standard of workmanship so your property looks beautiful and refined. "To provide you with a level of personalized service that is unmatched by any home improvement center or other flooring store – and to do everything in our power to earn your trust, business, and recommendation to your friends." Contact us today and allow our hardwood flooring specialists to help you select and install the ideal flooring for your home. We proudly serve the communities of Little Rock, North Little Rock, Benton, Maumelle, and Conway, Arkansas.